The P&G brand chief wants to prioritize transparency and control. 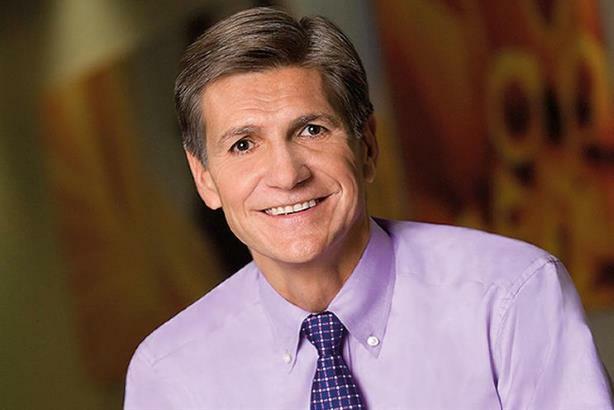 In a speech to the Association of National Advertisers in Florida on Thursday, Procter & Gamble's chief brand officer, Marc Pritchard, challenged advertisers to support a digital ecosystem that prioritizes quality, civility, transparency, privacy and control. Read his full speech below. In 1994, the first banner ad was launched and a media revolution was born. What followed has been an extraordinary transformation of ways to connect with, entertain, inform and engage the people we serve, with data and digital technology disrupting every aspect of the advertising, media and marketing ecosystem. Ad formats have exploded. Digital media has overtaken TV. Over-the-top advertising is emerging. Ecommerce and direct-to-consumer are growing exponentially. The agency world is in flux and data, analytics and technology dominate our operations. It’s been quite a ride for the past 25 years and there have been many positive benefits from this revolution. Creativity has expanded beyond the constraints of the 30-second ad with amazing new ways of expressing our brands’ benefits and points of view. Anything discoverable can now be found instantly. Shopping for new products has never been easier or more frictionless. And we can connect with each other and engage the people we serve in novel and entertaining ways we never thought possible, including one-to-one personalised experiences. Entirely new industries have emerged and big new companies have been founded boasting huge market caps and accelerated growth rates. But there’s a catch. Total growth across all industries has been modest at best for the past two decades. And there has been a dark side to this technology revolution, most notably, the lack of transparency leading to massive media waste, outright fraud and issues of brand safety. As digital media became dominant, we faced the inconvenient truth that we were operating in a murky, nontransparent and sometimes even fraudulent media supply chain. That led to coming together as an industry during the past two years to clean up through transparency and safety. And together we insisted on one MRC-accredited viewability measurement, third-party, MRC-accredited audience verification, transparent agency contracts, TAG-certified fraud prevention and MRC-audited brand safety validation. Through the diligence of marketers, agencies, publishers, tech companies and leadership from the ANA and MRC, significant progress has been made on all fronts. We can feel good about that progress and the media waste we’ve eliminated. But we all know it’s not enough. Digital media continues to grow exponentially and, with it, a dark side persists. In some cases, it has gotten worse. Waste continues to exist from lack of transparency and fraud. Seven out of 10 consumers say ads are annoying. Ad-blocking is accelerating. Privacy breaches and consumer data misuse keeps occurring. Unacceptable content continues to be available and is still being viewed alongside our brands. Bad actors are finding ways to create divisiveness and social unrest. These are significant problems and, despite a lot of effort, these problems appear to be increasing, not decreasing. As the next half of the world’s population gets connected, it’s likely the problems will keep growing. And we’ve only scratched the surface on artificial intelligence, virtual, augmented and mixed reality. So imagine what expansion of those technologies could bring if left unchecked. So today, I’m not going to call for remedial actions or renewed efforts to "clean up". The clean-up efforts certainly must continue and most of the companies in our industry are earnestly trying. The problem is, many of the platforms were not originally built for advertising. They were built for social communication and freedom of expression. We’ve all had a hand in monetising them and we’ve all been trying to retrofit them for our media and advertising standards for years, but it’s only partially working. Perhaps we should consider that significant parts of what we have today are beyond our control, and we need to begin charting the course for a different way going forward. So rather than calling for endless retrofitting and clean-up, I’d like to offer a new approach. It’s time to create a new media supply chain. It’s time to invest our brainpower into an ecosystem that builds in quality, civility, transparency, privacy and control from the very start. A new media supply chain that levels the playing field and operates in a way that is clean, efficient, accountable and properly moderated for everyone involved. A new media supply chain that is both a force for growth and a force for good. Good for consumers, our brands, our industry and society. With all the great minds we have in our industry, this is a course we can and should chart for the future. I’ll offer a few actions we’re starting to take in our company to help create this future. Shared openly for any to reapply as you wish because we want to compete through creativity and superiority in products, packaging, communications, retail execution and value. Not spend more time and energy on clean-up. This is foundational because brands are judged by the company they keep. We want to partner with companies and buy media from places where the content quality is known, controlled and consistent with the values of our company, as well as the everyday household and personal care brands we offer. We want content that is entertaining, informative and engaging. We want content that accurately and realistically portrays all people of all genders, races, ethnicities, sexual identities, abilities, ages and cultures. That’s good for society and good for growth as ads running on this kind of quality content have been proven to increase trust and purchase. On the other hand, when people view content that is objectionable, graphic or shocking, it does just the opposite. It erodes trust and purchase intent because those negative images overwhelm our memory banks. At best, money spent on an ad associated with that kind of bad content is wasted. At worst, ads associated with objectionable content can damage the brand’s reputation. We have quality standards that are applied to all media providers. These standards have been diligently followed for years by TV, radio and print companies for years which have broadcast licences mandating control over their content so accountability is built-in. And even when a rare slip does occur, they reimburse us for the mistake and/or give us a "make good". On the other hand, we’ve been tolerant for too long in the digital media world. It’s not acceptable to have brands showing up where opioids are being offered, where illegal drugs are promoted, where abhorrent behavior is present or where violence is seen. The apologies are heartfelt and appreciated, but that’s not good enough. We’ve been told it’s not intentional and we know it’s not. In some instances, we’ve heard "not many people saw it". That’s not the point. The point is, the kind of objectionable content that’s still showing up should never be present on any media platform where brands like ours are present. Can you imagine the outrage if one of the major TV network broadcasters allowed some of this terrible content to be seen? Even in the wee hours of the morning in a remote part of the country where only a few people saw it? Broadcasters and platforms reach millions and even billions of people and have tremendous influence and power over how people think, feel, perceive, decide and act. So with great power comes great responsibility. Every platform has a responsibility to control their content. Each one is responsible for anticipating all of the possible ways their tools could be used and should put the safeguards in place before making them widely available. Some kind of system needs to exist to prevent these situations. None of us should ever have to worry that our brands end up anywhere near that kind of horrible content. It’s simple. Having control over content quality is just common sense. So in the new media supply chain, we’re choosing to invest in places where brands are proven safe, where the content is known and controlled and where there is third-party measurement, auditing and accountability. If not licensed or mandated by regulation or law, we expect MRC auditing and accreditation for brand safety. On some platforms, we are taking matters into our own hands and choosing to advertise only on "safelisted" channels proven to have brand-safe content. We’re pivoting in others to more precise, one-to-one placement. We’re forming partnerships with entirely new platforms and media companies that prove from the very start that their content is safe and under their complete control. And we’re partnering with multiple companies to create content together that we know is of the highest quality and of the highest integrity. Bottom line, media providers that elevate quality, ensure brand safety and have control over their content will be the preferred providers of choice for P&G. This is directly related to content quality because editorial comments have now become a significant part of the media ecosystem. But we need productive standards of decorum in the new media supply chain. Free speech is a right, but civility is a responsibility. The digital media ecosystem has enabled broad conversations through editorial comments, which are welcome, but technology has made it far too easy to hijack conversations and disproportionately amplify negativity, divisiveness and even hate. The fact that algorithms can feed additional like-minded content based on comments can be problematic because it can foment more negativity and unintentionally end up having brands associated with horrible content. Most of us grew up with a social norm, "if you can’t say something nice, don’t say anything at all". Or, "if you are going to criticise, do so in a constructive way". But there are too many places where negative echo chambers have been allowed to grow algorithmically, which can distort reality and create unproductive consequences. Sadly, because this discourse is sensational, it then becomes the subject of news media, which further amplifies the negativity and distorts reality. We’re looking for partners who handle editorial comments in a way that promotes freedom of expression, but in a way that creates a balanced and constructive discourse. TV and radio broadcasters, as well as print magazines and newspapers, have handled this responsibly for decades. They carefully review editorial comments and publish a view that accurately reflects public sentiment to inform their audiences in a productive way. This is the gold standard we want to see for all platforms that are associated with our brands. We prefer to work with those who don’t allow anonymity to be a weapon by providing some mechanism for accountability and follow up so individuals are responsible for what they say. We prefer those who allow the dislike button to be a productive tool, not a magnet for anger. We prefer those who enable common sense moderation of comments, allowing people to express themselves through civil commentary, positive, neutral and negative, versus disproportionately amplifying controversy or, worse, hate. While today everyone can have a microphone, it doesn’t mean every voice needs to be amplified. Bottom line, we welcome a full range of opinions and productive discussions, but in the new media supply chain, P&G’s preferred providers of choice will be those who demonstrate they are using the voices on their platforms in a civil and responsible way. We’ve been talking about this for far too long and it’s time to get on with it. Our first round of media transparency efforts should be considered table stakes. Most individual companies are well on their way to delivering this base level of transparency, which is helping us all eliminate wasted spending. Going forward, it’s time to raise the bar and, for the new media supply chain, to deliver transparency through measurement across platforms. This means following a common set of rules across every platform, including common standards and practices for cross-platform measurement. We’re trying to address a major pain point of annoying ad frequency, the number one problem for consumers. Seven out of 10 people think ads are annoying. Why? Because they see the same ad over and over again on the same programme, on the same platform and across multiple platforms. This is not good for anyone. It hurts the consumer experience and wastes an enormous amount of money. Why does this happen? Because marketers are flying with little visibility and only know what runs on an individual platform, but have no idea whether their ad is reaching the same person over and over again. There is no reason we shouldn’t be able to fix this problem and make media measurable across every platform. There are solutions and P&G is seeking partners who will work with us. For example, one solution we’re using is a tag that can be placed on all ads, for all formats across digital and TV. When an ad is run on any platform, the tag registers that the consumer ID was reached and sends a signal to a neutral and safe third-party measurement location like Nielsen, IRI or Moat. The tag matches the signal of that consumer ID across multiple platforms and the data is then sent to the brand team to control the ad frequency and de-duplicate impressions to that consumer ID. It’s a simple approach and there are others. To help move the industry forward, we all need to participate. The MRC has published recommended common and higher standards for cross-platform measurement and is asking for comments. I encourage you all to read the MRC proposal and adopt these standards. This will finally enable us to achieve cross-platform media transparency and eliminate the excess ads that annoy consumers and the associated spending waste, but it only works if there is broad participation. P&G has already started and those platforms, and publishers who also do so, will be preferred providers. Consumer data is a foundation for how we do business today and a foundation for consumer trust is how we handle privacy. We all have the responsibility to ensure we protect whatever data we have and use it for purposes of serving consumers with better media and advertising experiences. The problem is there are 27 different laws for handling consumer data in the United States alone. Add to that, the approaches required from GDPR in Europe. On the horizon are new laws and draft legislation in California and other states. And individual companies and industry groups are planning to introduce new approaches to privacy. All well-intended, but we could soon have an exponential explosion of actions from multiple states, countries, industries and who knows where else. That will likely lead to complexity and confusion and it will not lead to better protection of consumer privacy. In the new media supply chain, P&G is seeking one common privacy standard that applies to all companies, whether a consumer is in California, Florida, Ohio or any other state. We also want a standard that follows the rules of common sense for consumers, one that is simple and completely understandable, so each person knows exactly what permission they’re granting and what control they have over their data. This is a matter of consumer trust and we should be able to come together and develop consumer-friendly ways to explain how we responsibly handle their data. To make this happen, along with other marketers, agencies and publishers, P&G is actively working with the Privacy for America coalition, chaired by Bob Liodice, and including the four major trade associations associated with engineering the privacy movement in the US. They are uniting to align our industry, address the issues resulting from the myriad of different approaches, and seeking national legislation that puts the consumer at the centre. Ultimately, P&G will support common-sense national legislation and our preferred providers will be those who adopt common, simple and responsible privacy practices that reinforce consumer trust. There’s one more step in creating the new media supply chain and that’s marketers operating as brand entrepreneurs by taking control of our own destiny. For too long, we’ve been wowed by shiny objects, overwhelmed by big data and intimidated by algorithms. We outsourced too much work, taking the head fake that media was so technical and advanced we couldn’t possibly handle it ourselves. No more. Like many of you, P&G is gathering consumer data on our own platforms with privacy disclosures to consumers and compliance with GDPR and other privacy laws. With this approach, our data management platforms now have over one billion consumer IDs worldwide. We’re using that data to accelerate performance analytics, hiring our own data scientists, reducing media waste by 20% while increasing media reach 10% and pivoting to more relevant and effective one-to-one marketing. We’re reinventing agency models to bring more media planning and buying in-house when and where it makes sense. We’ve not only saved nearly $1bn in agency fees and production costs, we’re getting closer to consumers, working more closely with media providers, eliminating hidden costs and placing media where it is most effective and efficient. We’re exposing substantial opportunities and reducing wasteful spending to reinvest into better-performing media including TV, radio and outdoor. Yes, what’s old is new again. Bottom line, we’re discerning what work should be done by P&G versus what work should be done externally. We’re getting our hands on the keyboard and taking more control of the new media supply chain. To accelerate progress toward this vision, we will continue to vote with our dollars with the companies who follow this roadmap. At minimum, we want P&G brands to operate in a highly efficient, quality, civil, transparent and privacy-compliant media supply chain. Ideally, we will all take these steps and work together to create an entirely new media supply chain for our industry that creates greater value and trust for the consumers we serve. We’re on the edge of the next great revolution of technology to make people’s lives better, but we can’t ignore the potential pitfalls. We’ve seen what happens with unbridled technology expansion. We cannot let this happen again. With all the great minds in our industry, we can and should chart a course for a better future. We don’t want to waste time and money on clean-up. Instead, we want to invest in raising the bar on creativity and innovation to drive growth. P&G is taking action because it’s good for consumers, good for our brands, responsible for the industry and good for society. Please join us. Your participation is essential – every one of us. Let’s no longer accept the excuses or head fakes. Let’s all step up. There is tremendous power in the collective force of our industry. Let’s make the commitment to come together and use that power to create a new media supply chain that is a force for growth and a force for good.